Some Texas cities and water utilities have begun to realize the vast potential of water efficiency. However, many others have yet to take full advantage of the cheapest, most reliable, most sustainable source of water – the one that’s already on tap. In a 2010 report, Drop by Drop, The Texas Living Waters Project reviewed conservation programs in 19 cities around Texas to determine the extent to which municipalities were using water conservation measures to increase efficiency. The findings indicate that the quality and extent of water conservation programs vary considerably across Texas, and that not all cities are pursuing conservation as aggressively as they could. Want to see how some of the below recommendations could make a real-life impact? 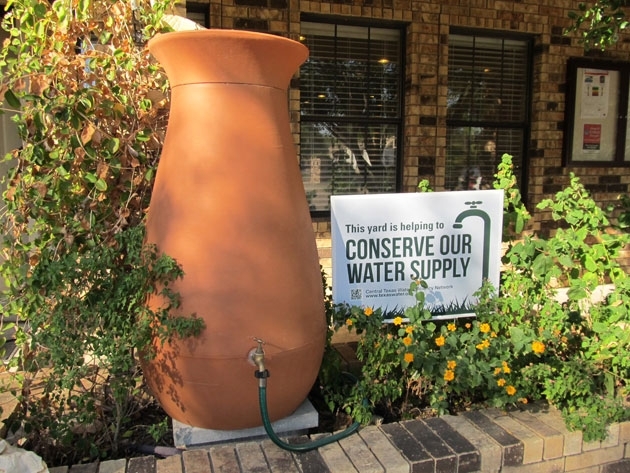 Click here to learn from San Antonio’s successes in reducing municipal water use. Utilities should have a strong tiered-rate structure with affordable prices for those who use water efficiently, and significantly higher water rates for customers who use excessive amounts of water. The additional revenue generated should be dedicated to funding water conservation programs. Texas cities are required to create conservation plans with water use reduction goals; however, many cities set easily achievable but not very impressive targets. Water utilities with relatively moderate rates of water use should set goals that meet the 1 percent annual reduction/140 gallons per capita per day (gpcd) recommendation made by the Texas Water Development Board Water Conservation Implementation Task Force. Utilities with higher rates of water use should set more aggressive goals. New high-efficiency toilets can save 12,000 gallons annually over older models. All major Texas water utilities should tap into this low-priced and reliable water source by replacing as many pre-1992 toilets as is practical and cost effective. All major Texas water utilities should create water conservation departments and fund this department adequately. Water conservation should be a separate line item in the budget, and cities should make sure conservation dollars are used effectively. To ensure that water for landscaping is used as effectively as possible, cities should encourage once-a-week watering and restrict lawn watering to no more than twice a week even during years of normal rainfall. Landscape watering during the heat of the day should be prohibited throughout the year. A standard showerhead purchased today will save customers roughly three gallons per minute. Cities, particularly those cities seeking new water supplies, should take advantage of the dependable water savings from such new technologies by creating cost-effective retrofit programs. Educating the public about ways to use water efficiently can reduce water use, build public support for additional conservation measures, and improve a utility’s image as a wise steward of our natural resources. Large- and moderate-sized utilities should invest in reasonable public education programs.